Let’s Put Natchez, Mississippi on the Today Show! Melissa, our wholesale manager brought to my attention an upcoming project between Sorted Food and the Today Show. They are teaming up to bring the guys from Sorted Food from across the pond to the States to learn & discover about “American” cuisine. They will be checking in with the Today Show hosts weekly to report what they ate, where they have been and what they have been up too. The best part is they are looking for suggestions, recommendations and ideas from anyone and everyone. 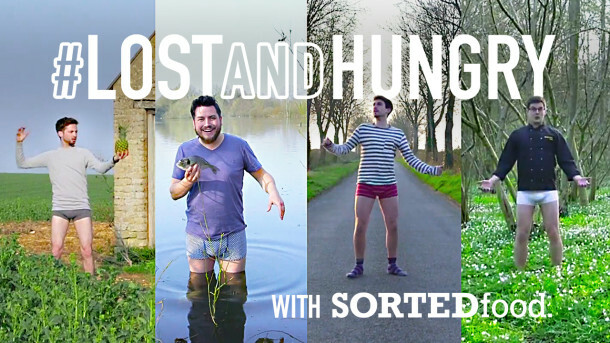 You can use the hashtag “#LostAndHungry” across all social media to let them know your thoughts! The more recommendations and suggestions they get, the more likely they will be to visit Natchez! The best part is while they focus on food, they are also looking for unique characters along the way, which is perfect for Natchez! Make social media posts about what and where in Natchez is the best place for a specific food item, use #LostAndHungry, share other people’s posts and let the guys at Sorted Food know Natchez, Mississippi is a unique place to experience a little slice of America. Much love from Fat Mama’s and happy hash-tagging! https://fatmamastamales.com/wp-content/uploads/Thumb_trailer-610x343.jpg 343 610 Fat Mama's Tamales https://fatmamastamales.com/fmt/wp-content/uploads/spacer.png Fat Mama's Tamales2015-04-14 15:43:532019-04-04 11:19:15Let's Put Natchez, Mississippi on the Today Show!